Reviews, impressions, and a little more. Woohoo! I mean does this house ever get anything wrong? (Please don't ask me about Secretions Magnifiques, another story for another time) Well, maybe I've been really up for quirks and odd balls of late, and ELDO just seems to fit the bill more appropriately than any other house (Parfumerie Generale is a worthy peer). 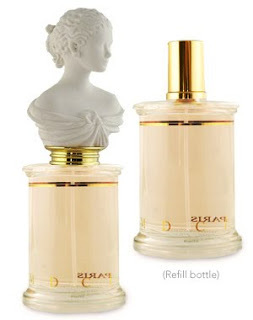 I think of ELDO scents as very much bottled "Artistic Statements", THAT by the way, still maintain a very high level of wearability (again with the only exception of SM). So I was reading Turin's review (and yes we know he's been quite generous in rating quite a number of ELDOs)on Vraie Blonde quite a while ago, and was very taken by the mention of "Champagne". Well maybe I've been living under a rock, but I've yet to smell a fragrance that truly smelled like champagne, or was at least close. So anyways, I decided to pull the blind trigger on VB and received it a over a week back. It does smell like champagne. 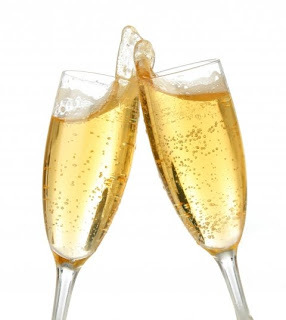 In fact, the effervescent opening champagne accord is quite spectacularly realistic. The accord is accompanied by the very soapy texture of aldehydes. The imagery of "Foam" fills my mind - soft, foamy, creamy and peachy. If you try this with an open mind, I think you may be quite impressed by how much perfumery has grown and how much notes and accords have been created to push beyond what is imaginable (until you smell it). ELDO seems to be spearheading such movement, and they will always have my full support. Thus far, I've enjoyed the technical precision, and structural clarity of ELDOs, and how they make "Artistic Statements" wearbable. Being quirky, fun, and attention-grabbing need not be an over-the-top affair, it can be done with refinement and class. Two-thumbs up and A TOAST to ELDO. I recall a discussion about fragrances that smell like crisp dollar notes, Wall Street by Bond No.9 being one of them. Now add $ by D.S. & Durga to the list. Although $ has a distinctly floral-leathery aspect about it, I'd hesitate to call it a floral leather. Nor do I find any tuberose in it despite what the official listing claims. Whatever flower it is originally supposed to be, it had been stripped down to its very bare essence until its identity is no longer recognisable. This floral essence is cleverly woven around what I perceive to be styrax, with white musk giving it just enough lift before tonka rounds it off smoothly in the base. $ smells quite fabulous, an elegantly masculine leathery musk which bears some passing resemblance to the edgy-but-uppity Cuir de Russie by Creed. It is modern and does indeed smell like a wad of cool, crisp hundred dollar-bills. My only regret? Not buying more of this stuff when it was available at a hefty discount. D.S. & Durga may have taken some bold risks with some of their creations but $ is definitely on the money! Unlike some of the other reviewers, I did not encounter the 'macho behemoth.' Perhaps my decision to dab this on rather than have it sprayed on might have something to do with it; on my skin, PARHUM D'HABIT blossoms wonderfully like the fragrance equivalent of 'tall, dark and handsome'. 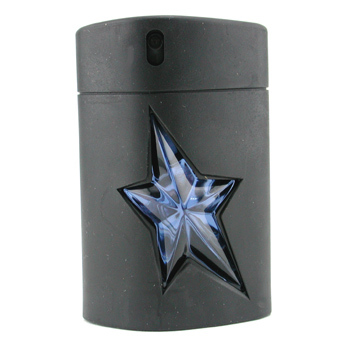 It is masculine and resinuous, with a just touch of birch tar-like leather but there is also something fresh and outdoorsy about its profile which I attribute to a judicious use of high-quality frankincense. I have a somewhat tricky relationship with sandalwood and have had to give up sandalwood-prominent scents like Heritage and Egoiste but here the sandalwood is well-blended, lending a smoothness without raising its own signature note. The restraint in the composition is indeed remarkable. But projection is first rate so wear it lightly or the scent wears you instead. Even blindfolded, I'm sure many would have guessed this fragrance to be a Chanel. Despite its more modern interpretation of the floral chypre, it retains an aura which is classic yet sophisticated - unmistakably 'Chanel'. Aldehydes, bergamot, pepper, iris, vetiver and cistus labdanum combined beautifully under Polge's craft to create this charmingly wearable fragrance. It does smell like a luxury boutique! 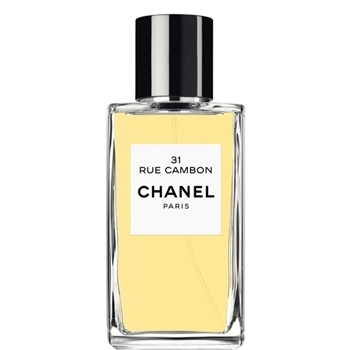 On a woman, 31 RUE CAMBON's very lack of ostentations may put it in the shade of its more illustrious predecessors. But on a sharply-dressed man, I honestly believe this would be fantastic. I vaguely recall someone referring to COROMANDEL as a patchouli oriental. 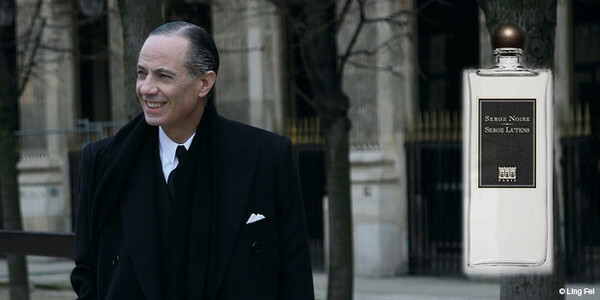 Now that I've spent a day with this Chanel Les Exclusif, I think he's right on the money. 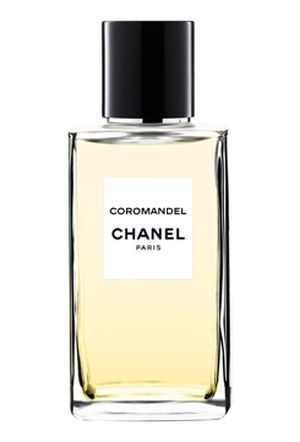 To my mind Coromandel shares a DNA structure similar to Sheldrake's sensational Sycomore with an oriental cloak wrapped around a patchouli frame instead of vetiver. 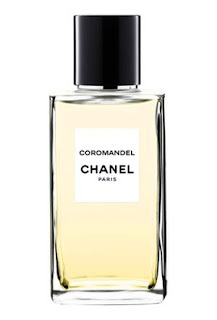 It serves a patchouli embellished with a generous helping of vanilla, cinnamon, benzoin and what smells to me like chocolate, projecting a deliciously rich, sweet yet airy sillage that might have scored higher had it not remind me rather strongly of Guerlain's oriental legend, Shalimar. So, low scores for originality but top marks for execution. Impressive official list of notes aside, this feels immediately much more substantial than the ethereal Un Coeur En Mai. I can pick out the tuberose and muguet early on but the rest is a rich well-supported floral bouquet that somehow manages to stay clear of 'heady' territory. The quality of ingredients is impeccable, as it needs to be in order to hold such an ambitious composition together. Vepres Sicillienes earns its rank as one of the most gorgeous floral orientals I've had the pleasure to smell. Rating: 4.5/5 Classy scent, good sillage, excellent longevity. mandarin, grapefruit, peach, pepper, green leaves, cardamom, muguet, magnolia, jasmine, ylang ylang, rose, tuberose, heliotrope, osmanthus, raspberry, cloves, plum, coconut, musk, amber, oakmoss and cedarwood. Somewhat like an impressionist-styled watercolor painting of a lovely floral garden done in pastel hues. Green in the beginning but reveals subtle shades of colors as the florals develops: watery hyacinth, muguet, rose, mimosa... Of these, I found the muguet to be the most noticeable. Even the typically distinguishable rose gets the light treatment and blends seamlessly into the light woodsy musk base. 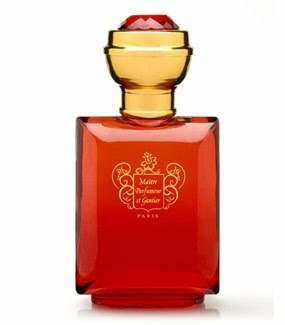 Created by Patricia de Nicolai, Un Coeur En Mai is an elegantly feminine floral, but rather sheer and short-wearing. Rating: 3.8/5 Great smell, modest projection, below average longevity. petitgrain, galbanum, bergamot, water hyacinth, lily of the valley, rose, mimosa, black currant, melon, coriander, musk, Bourbon geranium, precious woods. Serge is a type of weave pattern popularly used by fabric makers in the 19th and early 20th century. This little nugget of information may seem unimportant at first but as I delve deeper into the philosophical aspects of the scent, I realise just how crucial its role might have been in the 10 years it had taken Lutens to compose SERGE NOIRE. 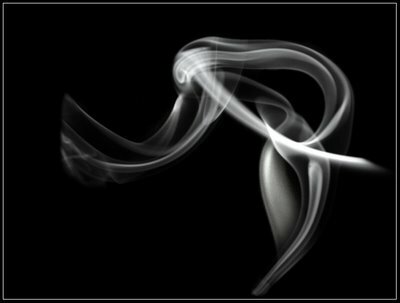 This may not be the easiest of scents to appreciate for it is almost like an abstract painting, known intimately only to the artist. 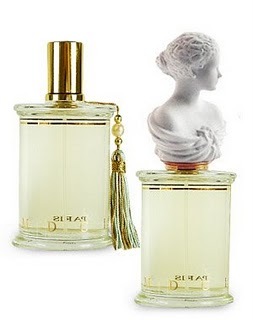 But many would no doubt agree Serge Noire is one of the most evocative from the Lutens line, drawing upon the wearer's own life experiences and memories to make this scent his or her very own. Therein lies its magic. In my mind, Serge Noire offers a noir (dark) reflection of life's very own 'serge' or tapestry, woven from bitter disappointments (camphoraceous gunpowder, peppery incense) and heartbreaking losses (smoky ashes). But against such a bleak darkness, a resilience of spirit (resins, cistus labdanum) allows a glimmer of hope (cinnamon and benzoin) to shine right through. Sure, that might sound like a bunch of baloney but I suppose not everybody has similar artistic sensitivities. Few scents inspire me enough to wax lyrical; this is one of them. Noses accustomed to generic fresh aquatics would probably take A*MEN's opening like a wallop to the face. Fortunately mine's already been battered by the likes of Chanel Antaeus and Oscar de la Renta Pour Lui. Though all three share similar 'retro' vibes with some heavy duty nose-wrinkling topnotes, A*Men's spicy lavender feels almost tame in comparison. Nevertheless the transition to the middle coffee-tar-patchouli accord is surprisingly smooth, the patchouli's minty tinge taking over where the peppermint left off, while its earthy grit brings the rich, bitter coffee and tarry styrax into play. Wow! This is by far my favorite part of the scent as the projected sillage at this point feels almost like a 'noir' version of Yohji Homme. Alas, the excitement wears out all too soon, the scent deteriorating into that of 'chocolate milk' - creamy and chocolatey-sweet. Don't get me wrong, I love chocolate milk as a drink; I just do not want to smell of it. Especially not when it lasts as long as A*Men does. In all fairness, I have to respect the composition for its groundbreaking boldness. It sort of reminds me of the original Star Wars trilogy. Like the George Lucas' blockbuster, it begins a little ploddingly as the story builds up and characters are introduced. Then it grows sombre, dark even and edge-of-the-seat-exciting, pretty much the way The Empire Strikes Back does. But by the time the cute and cuddly Ewoks start dancing around the campfire in the Return of the Jedi finale, you can't help but go "What the_?" Not a fan of Star Wars, you say? Fine, what about The Terminator? The first is a cult classic and the sequel is jaw-droppingly awesome. But Terminator 3?? After that absolute stinker I doubt if I'll say "I'll be back". Exactly what happened with A*MEN. I've been exploring the quirky and artistic statement-making house of Etat Libre d'Orange. I wish I had started earlier, before their price hike, since I've really taken such a keen liking for many of their scents thus far. Heck, they are still considerably affordable. 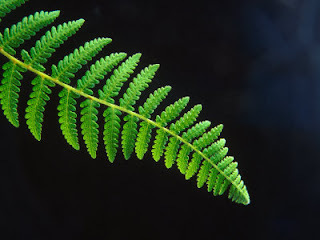 Eloge du Traitre is conceptualized around a fougere (fern-like) theme, and starts off with the freshness of resinous pine, then rather quickly works its way to a dry and bitter mix of soil-like patchouli, raw leather, sharp herbal-green bay leaf. During the mid-stages, the earthy greeness of EdT in some instances, remind me of another modern take of the Aromatic Fougere theme: A slightly sweeter, less resinous, but equally green and earthy Narciso Rodriguez for Him. Ending with a lovely musk base, and losing some bitterness at that, Eloge du Traitre represents what modern perfumery can do by stretching the parameters of classic perfume structures. An excellently executed fern fragrance. Highly recommended for those who love their green smells.